I got the name of my favorite comb off a old one that I've had around for about 12 years. Two teeth had broken from it and I've been wanting to find the exact same one for a few years now, I've looked every where. My husband went online and found the exact same one, I love 'em! I have been searching for this comb for years--every drug store, super market, online-I finally discovered my old one had a ruler on it. 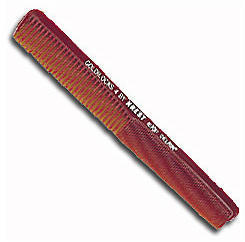 I googled and found these combs which are exactly what I was looking for! Thank you!